This is a rectangular flange Murad Cigarette porcelain sign. This particular Murad Cigarette sign is predominantly red with white text. 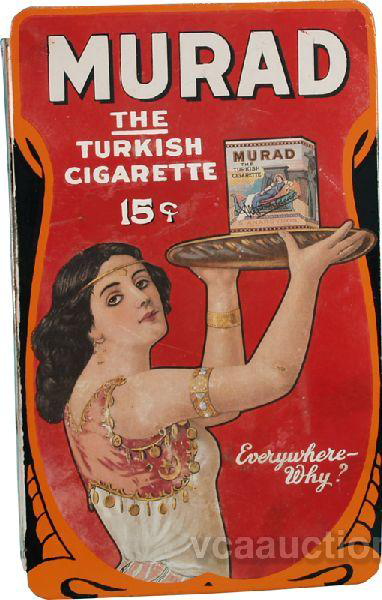 It reads, “Murad, The Turkish Cigarette, 15 Cents, Everywhere – Why?” and features a young woman holding up a tray containing a box of Murad Cigarettes.